New Year’s Eve Countdown Bags! Our fun-filled New Years Eve Countdown Bags have everything you need to countdown to the New Year! The great thing about these adorable New Year’s Eve Countdown Bags is that they can be used with family and kids, a group of friends, or just you and your spouse! The possibilities are endless! And can you guess the best part?! IT’S COMPLETELY PLANNED AND DONE-FOR-YOU!!!! So how does it work!? Each hour, leading up to midnight, you and your guests will open one of our ADORABLE New Years Eve Countdown Bags! Your guests will be surprised to find a fun activity inside to celebrate the New Year (see our suggestions below)! It’s SO quick and easy and everyone is sure to LOVE it! Start by deciding when your party will begin and how long it will last! 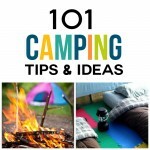 This will determine how many bags and activities you will need to prepare! Below is our suggested schedule for our New Year’s Eve Countdown Bags and activities! However, feel free to change things according to your own needs! 11:30 PM – Prepare to Ring in the New Year! Begin by prepping your New Years Eve Countdown Bags! Start by printing off our QUICK AND EASY BAG COVERS. 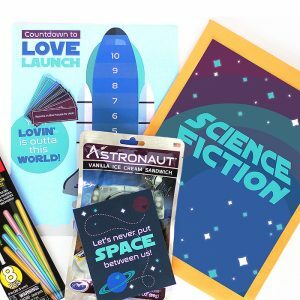 These fun designs include a countdown clock and instructions of when to open your Countdown Bags! We have even included additional bag covers to provide you with options! Once you have selected your bag covers, simply print them off and adhere them to the front of a paper bag! I found my black paper bags at Hobby Lobby, but you could also use simple white lunch sacks for your New Years Eve Countdown Bags! Not only have we provided printable bag covers, but we have also included ADORABLE DIY bow-tie embellishments to top off your fun-filled New Years Eve Countdown Bags! Can you say CUTE?! 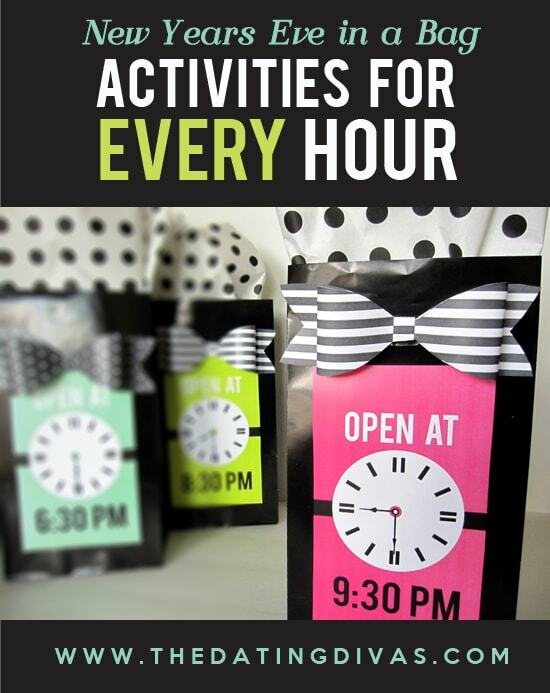 Not only will your Countdown Bags provide fun hourly activities, but they will also double as your New Years Eve decor! Speaking of decor, did I mention we have included 3 GORGEOUS FRAMEABLE PRINTS in our pack!? Feel free to print off our beautiful prints and use them as additional easy decor for your New Years Party! What better way to start off the night than with food and decorations?! Inside your first New Years Eve Countdown Bag, we suggest including our GORGEOUS New Years Eve printable banner and FUN food labels! Spend the first hour of the evening decorating and enjoying the company of your loved ones with some yummy food and/or snacks! Celebrating with your kids/ family? Why not spend the hour actually making dinner together?! Your kids will LOVE helping you out in the kitchen as you prepare a fun New Years Eve dinner! Looking for some quick and easy recipes? Don’t forget to check out our Dating Divas Recipe Book — you are sure to find the perfect New Years Eve dinner idea inside! Celebrating with your spouse? Spend some quality time as a couple by cooking your meal together! You might even try including a few of these ingredients to help boost your drive for the night ahead (if you know what we mean …wink wink)! Celebrating with a group of friends? Sometimes creating a meal for a large group of people can be a stress, so instead, pull out some of your favorite treats to share with your guests! Your guests will love mingling while munching on some yummy goodies! After dinner, your guests will be excited to open up their next New Years Eve Countdown Bag! So what’s next up on the agenda?! Get ready to laugh with our fun New Years Eve Loaded Questions game! Loaded Questions is one of my family’s favorite games! In fact, we play it EVERY New Years Eve—we love it THAT much! I always end the game crying because I am laughing SO hard! 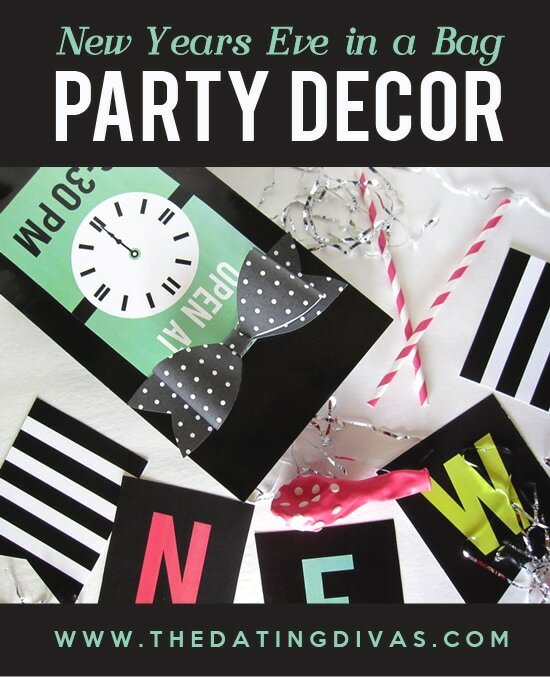 For your PERFECT New Years Eve party we have provided a fun printable version of the game! Simply follow the instructions on the game board and get ready to laugh as you spend the next hour answering funny personal questions and trying to guess who said what! It’s a fun activity to break-the-ice and kick-off your New Year festivities! Celebrating with your kids/family? 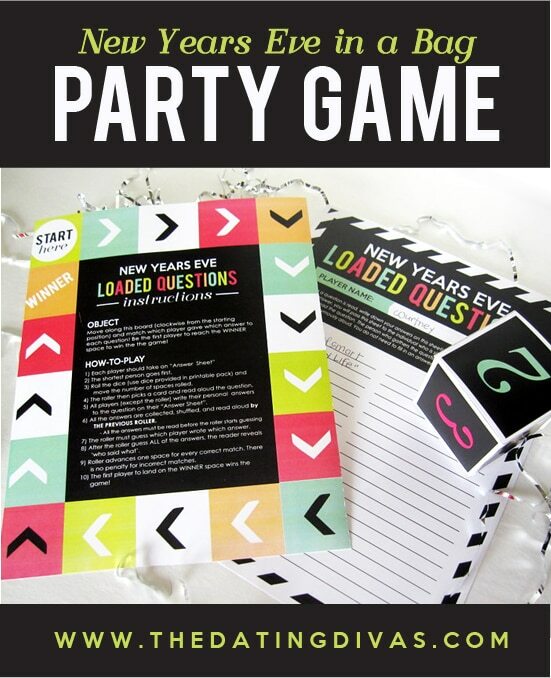 Print off our FUN New Years Eve Loaded Questions game to play with your family! It is great for all ages and you might be surprised with some of the hilarious answers from your kids! 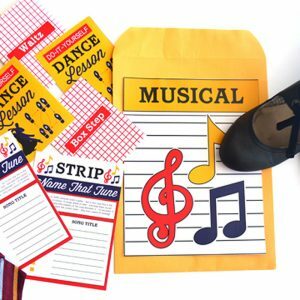 If you have small children who can’t write down their answers, you could also pull out one of your favorite family games to play as an alternative! 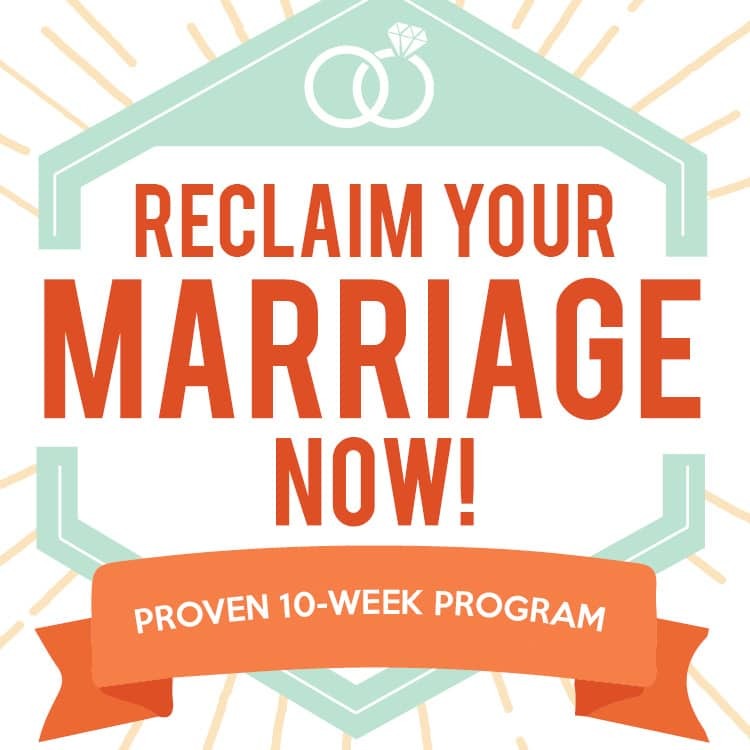 Celebrating with your spouse? 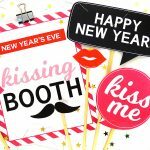 Although our New Years Loaded Questions game is for groups 4+, we still have options for you and your spouse! 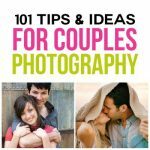 Here are over 50 ADDITIONAL GAME IDEAS for couples! Select one of these fun games to play with your darling during the second hour of your New Years Eve countdown! Celebrating with a group of friends? 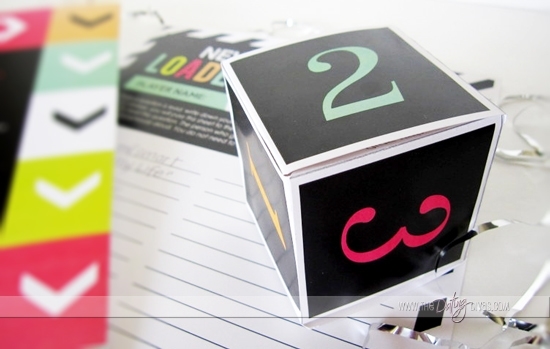 Our New Years Loaded Questions is PERFECT for a group any size! Learn more about your friends as you attempt to guess their answers to personal funny questions! The first person to guess the most answers correct, wins! If you are looking for an alternative fun group game check out this post for another great idea! It’s time to open another New Years Eve Countdown Bag! 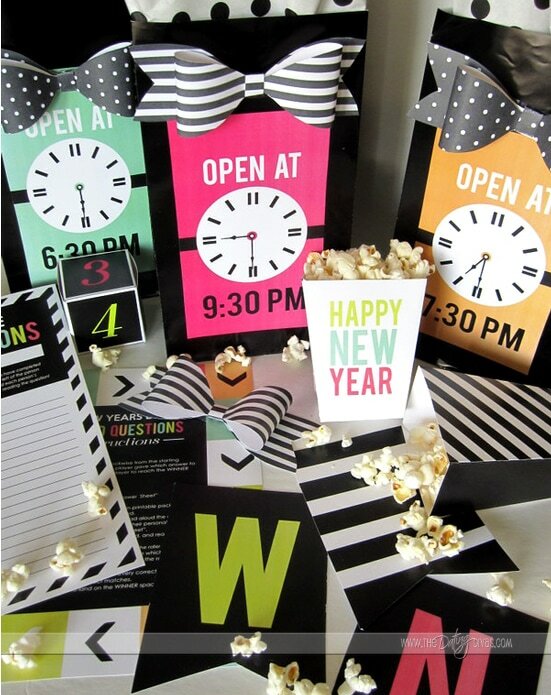 Inside your next bag, include some of our New Years Eve Resolutions printables. You will need one per person. Give time for your guests to reflect on their past year and look forward to the new as they write down their thoughts and goals! Celebrating with your kids/ family? We have provided two different variations of our New Year’s Eve Resolutions printable, just for your family! 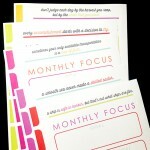 Your kids can either draw or write about their resolutions for the upcoming year with our adorable printable template! After each of your family members have completed their New Years Resolutions, you can either post them on the refrigerator OR tuck them away in a box as a time capsule to be read the following New Year’s! Celebrating with your spouse? Take some time to reflect on your past year together! Talk about your successes, trials, memories, etc. Once you have each filled out your New Year’s Resolutions, share and discuss your goals together! Celebrating with a group of friends? 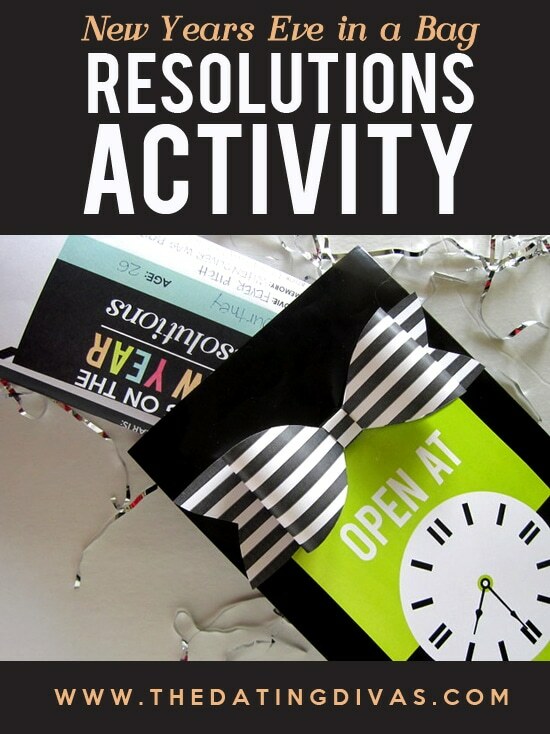 Make sure to have one New Year’s Eve Resolutions printable for each guest! You might also consider providing an envelope for each person to insert their New Year’s Resolutions to take home! If you have some extra time you could also suggest taking turns sharing one of your favorite memories from the past year! When your guests open up the next New Year’s Eve Countdown Bag they will love finding these ADORABLE POPCORN BOXES and their favorite movie! 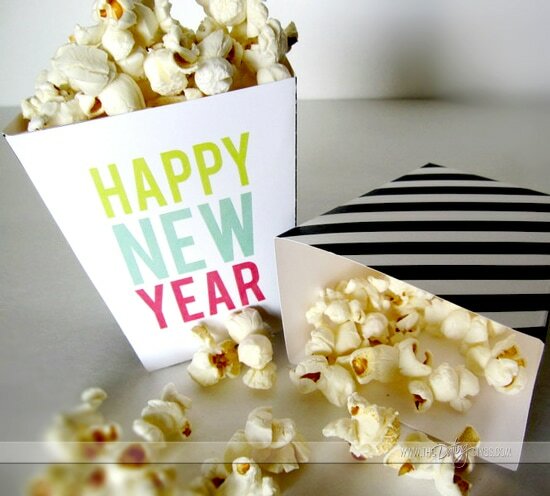 Simply pop some popcorn, sit back, and enjoy your favorite flick as you await the New Year! 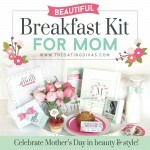 Celebrating with your kids/ family? Select a movie you know your family will all love watching together! You might even try out this fun PARTY POPCORN recipe to add a little extra pizzazz to your New Years Eve movie! Celebrating with your spouse? Pop some popcorn and snuggle up together as you watch your favorite movie! 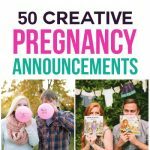 If you are looking to spice things up, be sure to check out our 40+ CREATIVE MOVIE IDEAS! Celebrating with a group of friends? Make sure there is enough popcorn to go around! If you have a large group, you might try narrowing down a few movies prior to the party (make sure to pick movies your guests will LOVE). When it comes time to watch the movie, provide your list of movie options to your guests and decide on the movie as a group! When the time comes to open your next New Years Eve Countdown Bag, you will still be watching your movie! 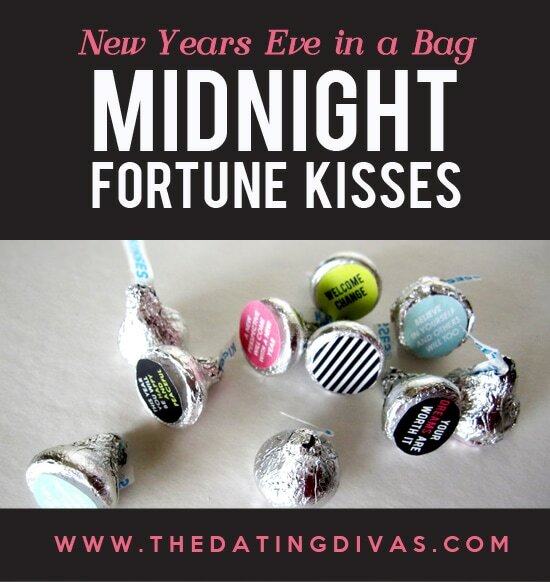 Take a brief intermission to open up your next New Years Eve Countdown Bag, which should include a bottle of sparkling cider and our fun “Midnight Fortune Kisses”! Your guests will love watching the remainder of the movie as they sip down some sweet “bubbly” and read their New Year’s Eve fortunes on the bottom of Hershey Kisses! Be sure to fill your last New Years Eve Countdown Bag with fun noise-makers, sparklers, confetti, celebration goodies, etc. Only 30 more minutes until the NEW YEAR—make sure to go out with a BANG!!! 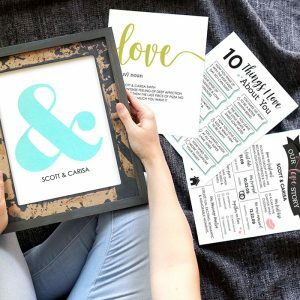 This darling printable New Years kit has everything you need for a truly memorable night with your favorite people! Ready for the BEST NEWS? This whole pack is JUST $8.97! New Year’s Eve Makeout Party for Two! 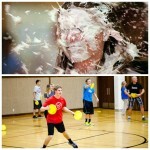 I’m an energetic, church goin’, competitive, family lovin’ gal who is addicted to all things DIY (except for cleaning)! I feel lucky to have married my high school sweetheart and find myself falling more and more in love with him each day! I took pride in my education and career but fully believe I have it all by getting the opportunity to stay at home with my crazy little boy! I ordered this yesterday and still have not gotten an email with the files. Please email me ASAP. I would love to use these for our party tonight.